PHOTOS: 'Perfectly Preserved' Ice Age Lion Cub Found in Russia: Can It Be Cloned? PHOTOS: ‘Perfectly Preserved’ Ice Age Lion Cub Found in Russia: Can It Be Cloned? Discovery of perfectly preserved cave lion cub raises questions of cloning. Extraordinarily well-preserved remains of an ice-age lion cub are raising hopes of bringing this extinct species back to life. 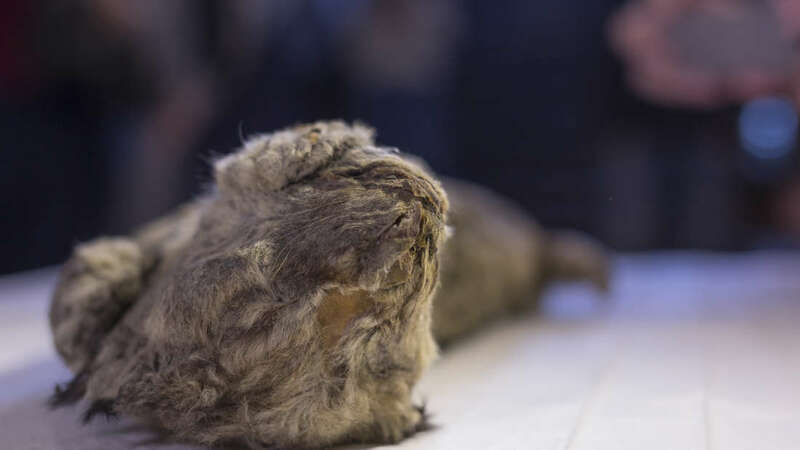 The remains of the cub were found buried in the permafrost along the Tirekhtykh River in the Abyisky region of Yakutia, Russia by local resident Boris Berezhnov. “It is a perfectly preserved lion cub, all the limbs have survived,” said paleontologist Albert Protopopov. “There are no traces of external injuries on the skin.” Even its facial features are visible, along with the toes on its paws. The cub was found with its paw resting on its head. Further testing will need to be done on the cub, but experts believe it died between 20,000 and 50,000 years ago, during the Pleistocene Ice Age. The cave lion became extinct around 11,700 years ago, around the end of the last Ice Age. Scientists believe the cub was between six and eight weeks old when it died, but amino acids in its teeth will give them a more accurate estimate. The cause of death is not currently known. This is not the first time cave lion cubs have been discovered in the region. In 2015, two cave lion cubs, named Uyan and Dina, were discovered in a different part of the region, along the Uyandina River. These cubs’ remains were around 55,000 years old, and are not related to the newly-discovered cub. “Everyone was amazed then and did not believe that such a thing is possible, and now, two years later, another cave lion has been found in the Abyiski district,” said Protopopov.